Arrechissimo – Go There. Try That. Sometimes when my husband and I are out and about and it’s time to eat, we search for restaurants in our surrounding area for the sole purpose of trying something new. We like to be adventurous. This is how we learned about Arrechissimo in the Blue Ash/Deer Park area. 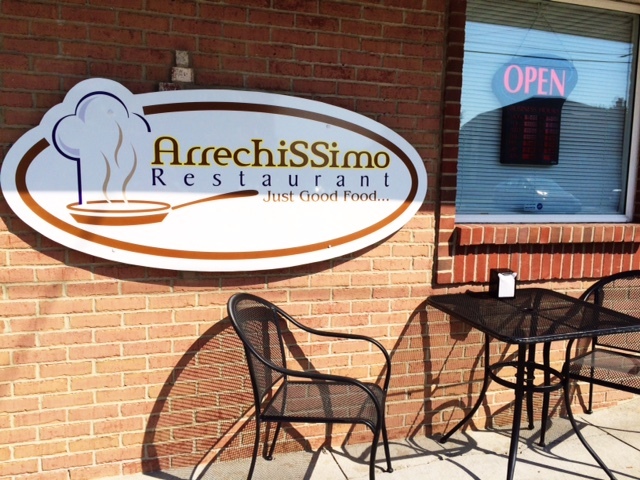 Arrechissimo is a small Venezuelan restaurant not far from Kenwood. This is truly a Mom and Pop place meets the American dream. The owners are a Venezuelan couple who moved to the United States a few years ago to seek health care for their daughter at Cincinnati Children’s. From there, they opened a small restaurant using family recipes. Now, when I say small, I mean carry-out or sit at one of three outside tables. There is no indoor seating. Please do not let this deter you from trying this food though. It is incredible! 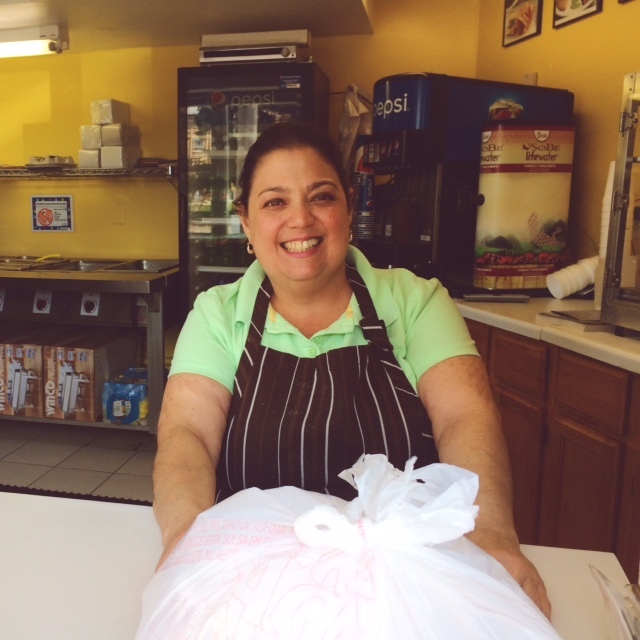 These eats are cooked from scratch; it’s like Lorena, one of the owners, invited you into her kitchen for dinner. So far, we’ve sampled the traditional plate, the arepa, and the empanada. I also tried the passion fruit juice (made from scratch daily). I basically guzzled the juice while I waited for my order because it was that good and that refreshing. Not ashamed to say I got a second juice for the road. The traditional plate ($11.00) comes with juicy, seasoned, tender beef, a side of stewed black beans, a side of white rice, and some sweet plantains. The meat is delicious, and while I’m not a black bean lover, my husband thought they were really well-seasoned. The rice is light and fluffy- just the way it should be. The star though, for me, is the shredded, slow-cooked meat! Crazy good. I’m pretty familiar with empanadas, but those served at Arrechissimo are by far the largest I’ve ever eaten and it’s only $3.50! Mine had tender, savory beef with garlic, red pepper, and a sofrito sauce. 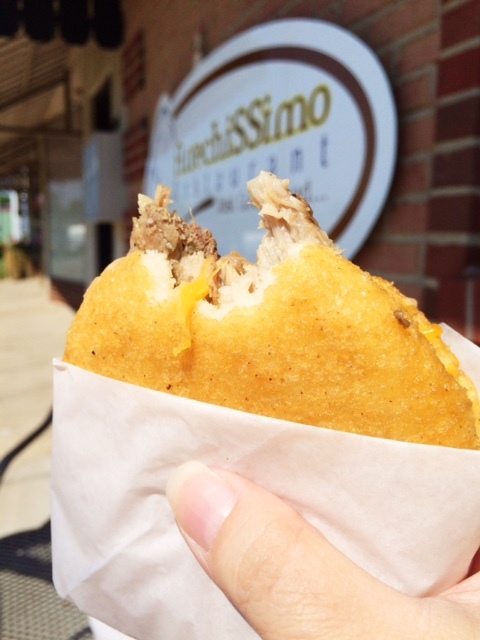 The arepa, which I learned is a staple in the Venezuelan culture, is like a really great flatbread filled with your choice of meat, cheese, salsa, etc. I got the pork, cheese, and spicy cilantro salsa. So good my friends! 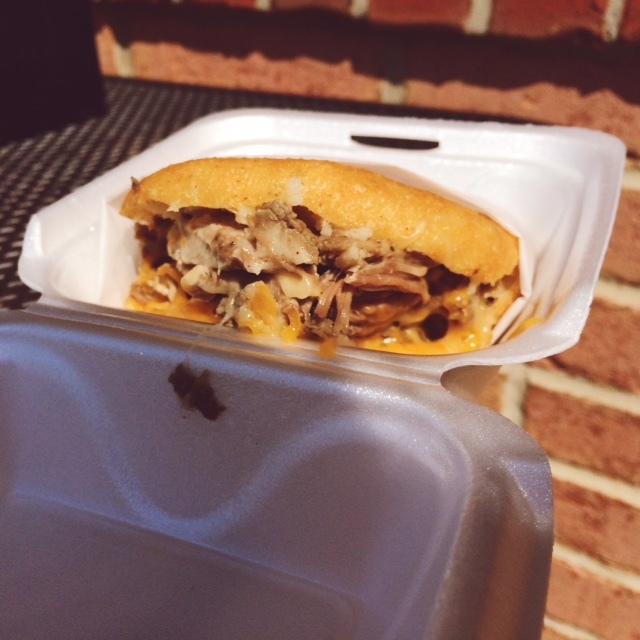 The arepa is crispy on the outside and soft on the inside and the fillings are hearty. 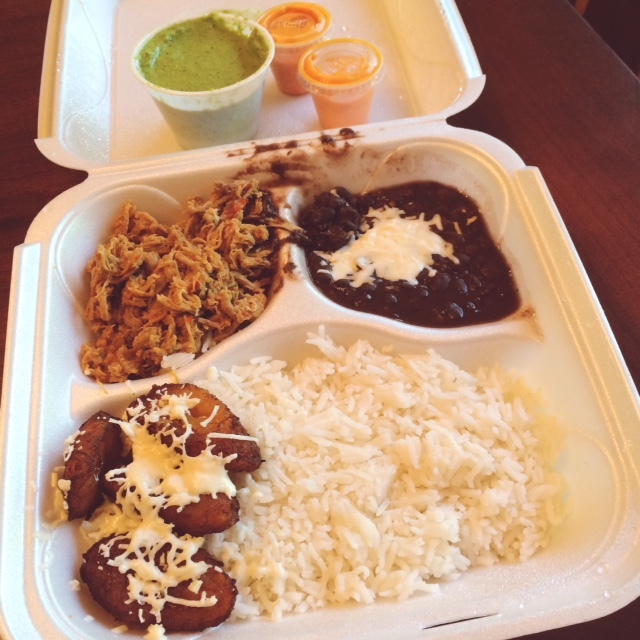 The salsas are a must with both the arepa and the empanada! And, this “sandwich” is only $5.00! Definitely don’t skip the spicy cilantro sauce…this creamy green condiment could be an addiction for me! Luckily it’s only 50-cents! Order a side of fried Yuca (a root vegetable) and drizzle on that cilantro sauce! Rice? Add some cilantro sauce! You get the idea! The prices at Arrechissimo are very affordable and the food is fresh- and this is a far better, healthier choice than fast food! 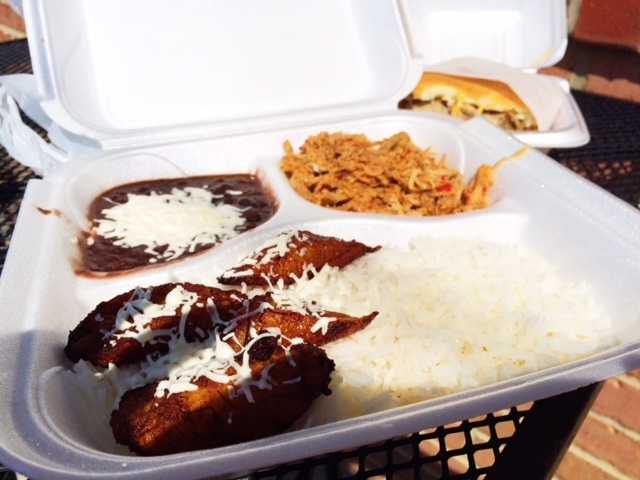 Get something to go, sit in the car and eat, or eat outside; I think this filling, authentic Venezuelan food will please your palate! Tip 1: get a side of the sauces/salsas and drizzle them on everything. You won’t regret it. Tip 2: This is way better than fast food, but it’s not a fast food restaurant so it will take 10-15 minutes to get your order. Order a freshly made fruit drink and enjoy! GO THERE (Arrechissimo)! TRY THAT (Arepa, cilantro salsa, fruit drink)!